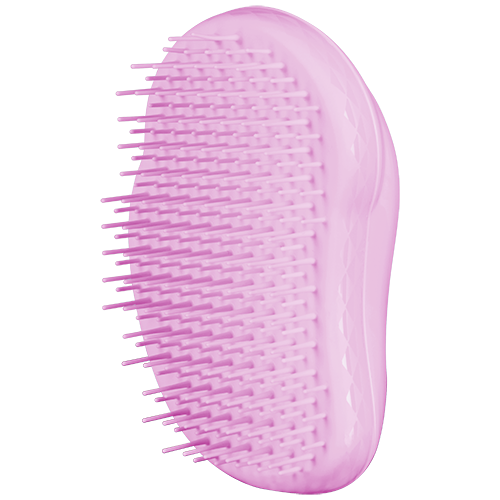 Tangle Teezer, the original detangling hairbrush, has been saving people from knots and unmanageable tangles for ages. And since its inception in 2008, it’s become the go-to for hairstylists and consumers alike, resulting in offshoots specifically designed for wet hair, thick hair, curly hair, and now, for fine hair, too. According to the brand, the Tangle Teezer Fine & Fragile Detangler “has ultra-soft flexible teeth that help limit hair loss from brushing and styling, and gently stimulate the scalp to encourage new growth.” Since hair loss affects so many women (one in three! ), due to a wide range of reasons from stress and emotional trauma to hormone and nutritional imbalance, Tangle Teezer has launched the only brush on the market that features a patented design to minimize breakage and cuticle damage, and therefore prevent hair loss. Shop the Tangle Teezer Fine & Fragile Detangler, which is now available for only $12 at Ulta, below.